1. Bargibanti pygmy seahorse (Hippocampus bargibanti) was discovered by a Caledonian scientist named Georges Bargibant while he was collecting a specimen of Muricella spp. Gorgonian coral for an experiment. 2. Bargibanti pygmy seahorse was the first species of pygmy seahorse to be discovered in 1969. 3. Bargibanti pygmy seahorses are found in tropical regions, such as southern Japan, Indonesia, east of Palau, Papua New Guinea, Solomon Islands, Fiji, Vanuatu, the Great Barrier Reef in Australia and our very own Philippine waters. 4. They are cute little things. Imagine, they only reach a maximum length of up to 2.7cm when they are in the adult stage of life. 5. Believe it or not, but they are extreme habitat specialists, they spend their entire adult life almost exclusively on a single gorgonian coral of the species Muricella paraplectana and M. plectana. 6. This kind of pygmy seahorse is also undeniably one of the most challenging to spot because of its size and they have an ability to camouflage with the gorgonian coral they inhabit. 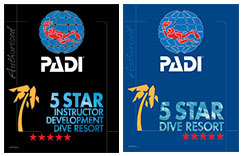 Sometimes, our divers here in Magic Oceans need a magnifying glass to see them close up. 7. 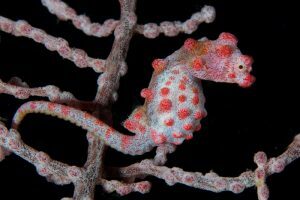 They may look similar to the Denise’s pygmy seahorse as the Bargibanti pygmy seahorse is extremely variable but they are distinguished from the Denise’s by its very short snout; stout body shape; large, bulbous tubercles that cover its body and a long, prehensile tail. 8. Bargbanti pygmy seahorse are normally one of two colours; first is yellow with orange tubercles that are found on gorgonian coral Muricella paraplectana and the second is pale grey or purple scattered with pink or red tubercles that are found on the similarly coloured gorgonian coral Muricella plectana. 9. 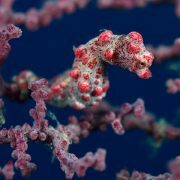 At the present time, it is still an unresolved mystery whether a Bargbanti pygmy seahorse can alter its color if they move onto a different host background. 10. Yes, a Bargbanti pygmy seahorse is a type of fish. They have an average lifespan of 1 to 5 years in the wild and its group name is called a herd. If you would like to see a Bargbanti pygmy seahorse then definitely come and dive with us here in Magic Oceans Dive Resort, Anda, Bohol, Philippines. 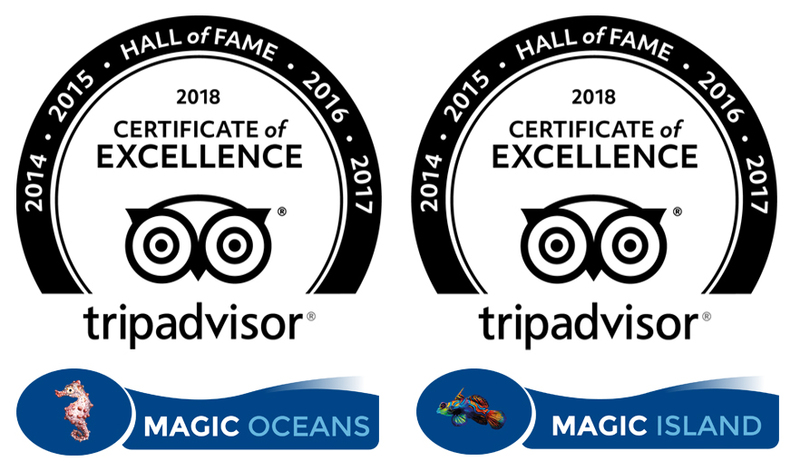 You will be mesmerized by the magnificent appearance of our pygmy seahorses here – we guarantee you that..